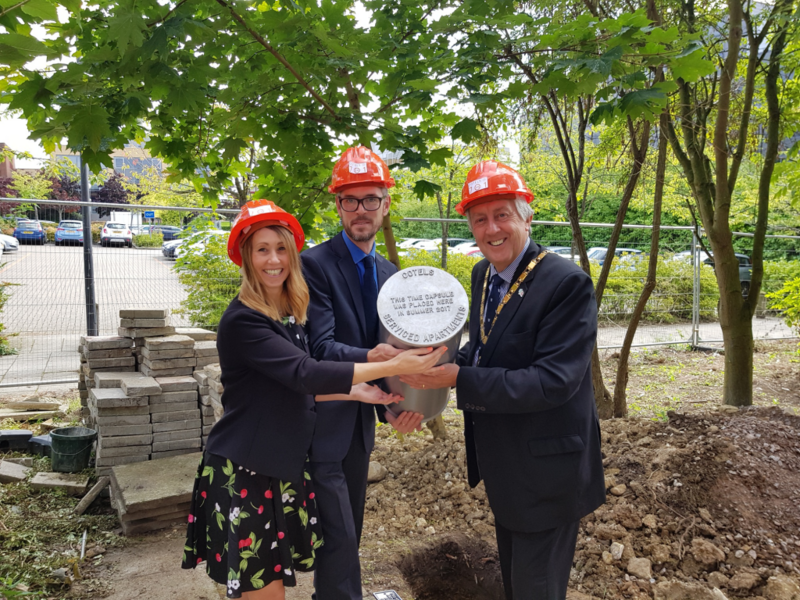 Cotels Serviced Apartments celebrated the history and future of Milton Keynes at 701 South Fifth Street by burying a Time Capsule, filled with 2017 Milton Keynes memorabilia. The time capsule includes treasures such as a hockey puck from Milton Keynes Lightning ice hockey team, a shirt and scarf from Milton Keynes Dons F.C., an MK50 flag, bag and what’s on guide from Milton Keynes Council, a prospectus from Milton Keynes College, sun glasses from Heart and plenty more*. Cotels have also included logos from through the years as well as promotional items, leaflets, business cards and their famous rubber ducks. Cotels is a leading regional provider of executive serviced apartments in Milton Keynes, Luton and Northampton. Operating high quality apartments, Cotels properties are ideal for the corporate traveller looking for the luxury of a hotel with the convenience and comfort of a home. For more information about the new 7Zero1 development, read here.